“Plant-based food” is currently the most popular term according to the Food Report 2019. The reason is that it covers many different trends, from flexitarian and vegetarian lifestyles to vegan alternatives to fish, meat, sausage and dairy products. Plant-based foods also address the Health megatrend as well as the growing expectations of consumers, especially younger ones, in terms of climate, resource and animal protection. Like the name indicates, this stabilising and texturing system is used to make vegetarian hotdogs. Naturally it can also be used for vegan alternatives to all other types of bockwurst as well as bratwurst. The final products have a very authentic texture and bite. They also have a special flavour profile, with a pleasant, slightly nutty sunflower note that is an excellent fit with the product. It enhances the typical sausage seasonings and smoke flavour very well and has no after-taste, as is often the case with soy and legumes. Another plus point for marketing is the declaration benefits. This all-in compound is free of allergens like soy and gluten, as well as of egg and dairy components. Like all Hydrosol vegan sausage alternatives, Sundogs are also phosphate- and nitrite-free. Naturally the compound contains no flavour enhancers. A further health advantage is that the vegetable sausages contain no cholesterol. Plus, sunflowers from domestic or regional sources have a low climate and resource footprint and are non-GMO. In addition to sunflower and pea protein, the all-in compound contains hydrocolloids and starch. 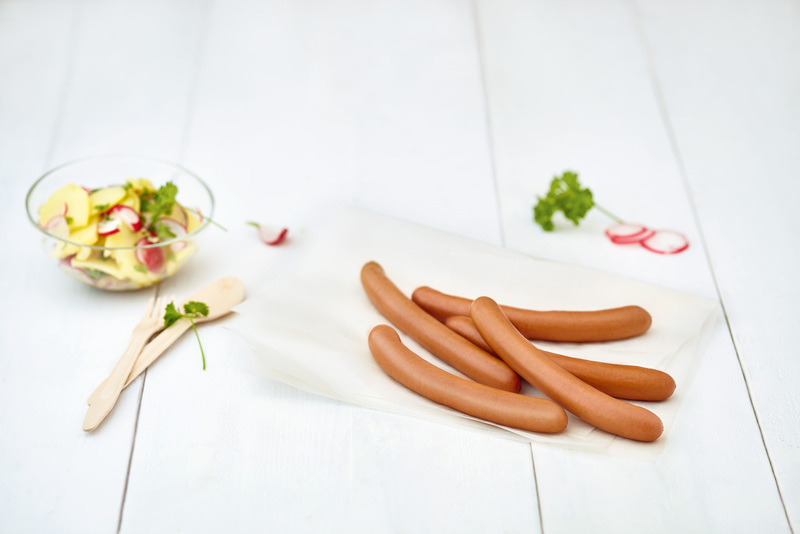 Special seasonings give each sausage variety its own individual flavour profile. Trendy new flavours can also be easily implemented as desired by the customer. 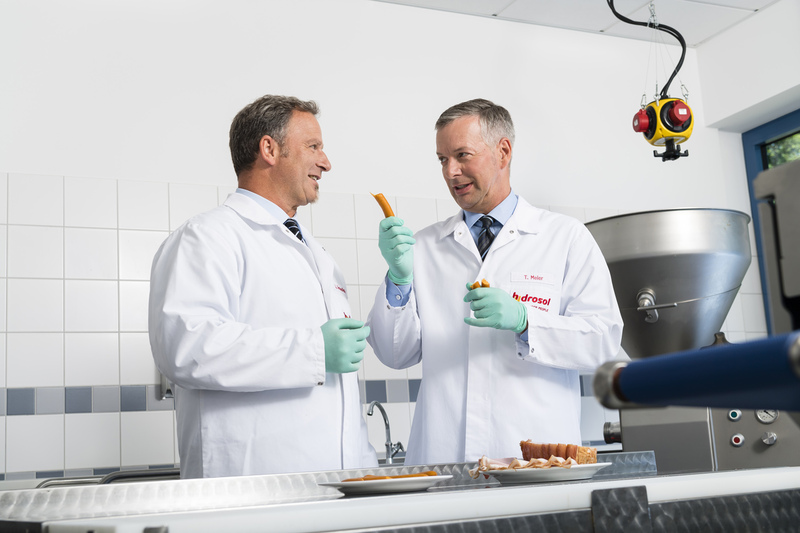 The plant-based sausages are made using conventional cutting and filling equipment.